You can return any Kindle book for a full refund, but there are some limitations. Kindle books can only be refunded for seven days after the initial purchase, and you can only refund an eBook purchase directly through your Kindle immediately after you buy it. Other Kindle book refunds, and returning borrowed Kindle books, can be accomplished through the Amazon.com digital content management system. Returning a purchased book for a refund: You can return a Kindle book and get your money back under some very specific circumstances. Returning a Kindle book you borrowed from Amazon: When you borrow a book from any of Amazon's lending programs, it counts against your limit. Once you reach the limit, you have to return at least one book that you have borrowed. Returning a Kindle Book you borrowed from the library: When you use your Kindle to borrow a book from your local library, it will expire eventually without any effort on your part. If you want to return it early, you can. Returning a Kindle book you borrowed from a friend: When a friend lends you a Kindle book, you have to remember to return it when you're done. In order to return a Kindle book for a full refund, you need to meet a few requirements. The first is that you must request the refund within seven days after making your purchase. The second is that if you want to request your refund through your Kindle, you need to do so immediately after making the purchase. Otherwise, you'll have to request the refund through the Amazon.com website. Returning borrowed books works the same regardless of whether you borrow from a friend, from your local library, the Kindle Owner's Lending Library, or through the Kindle Unlimited program. While the borrowing processes are different for each of these, returning a borrowed book always works the same way. When you buy an eBook from Amazon, you have the option to either cancel the order or request a refund. You can cancel the order immediately, regardless of whether you bought the book with your Kindle or through Amazon.com, but you can only return books at a later date through Amazon.com. If you want to cancel an order on your Kindle, you have to do so immediately after you make the purchase. This is useful if you made the purchase accidentally, and you want your money back. To immediately refund a Kindle book purchase, tap or select the CANCEL ORDER link. This will remove the book from your digital library, and your original payment method will be refunded if payment has already been processed. There is no way to refund a Kindle book purchase on your Kindle if you close the purchase screen. At that point, the only way to obtain a refund is through the Amazon website. You need to request your refund within seven days after your purchase. Navigate to Amazon.com/mycd, and click Content. Locate the book you want to return, and click the ... button to the left of the title. Select a reason for return, and click Return for Refund. Repeat this process to return any additional Kindle books you purchased accidentally or no longer want. 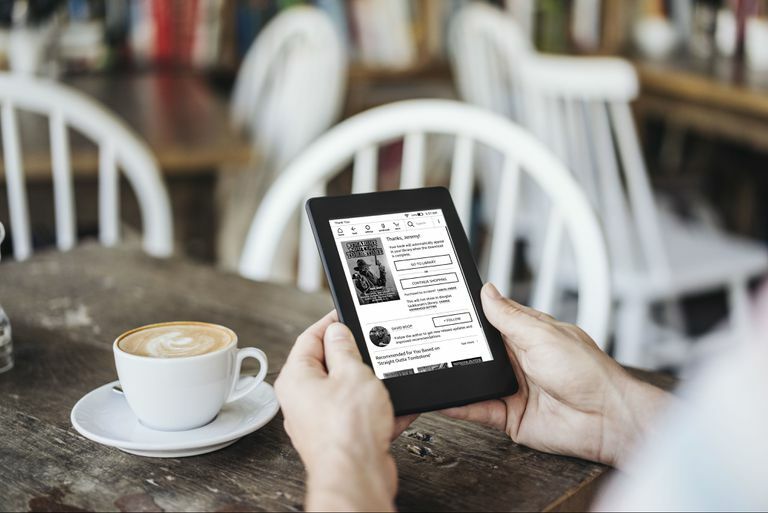 Kindle owners are able to borrow books from their local library, friends, the Kindle Owner's Lending Library, and the Kindle Unlimited program. Anyone can borrow from a friend, while the Kindle Owner's Lending Library is limited to Amazon Prime subscribers, and Kindle Unlimited is a separate subscription service. When you finish a book that you have borrowed, you need to return it. Returning a book you borrowed from a friend allows them to read it again, or lend it out to someone else, while returning a book to your local library, the Kindle Owner's Lending Library or Kindle Unlimited allows you to borrow additional books. Regardless of where you borrowed a Kindle book, the return process is always the same, and it uses the Amazon.com content management system. Locate the book you want to return, and click the ... button next to the title of the book. Repeat these steps to return any additional books that you have finished reading.